The word "temporary" is often sneered at. There's definitely a stigma associated with the word. Many people believe that a temporary job means that the assignment is only for a couple of days. This is not always the case. A temporary job could be ongoing for months, or even a year. Taking on a temporary job can be very beneficial. If you're in the market for a new job, consider accepting a temporary position with Liberty Staffing Services. 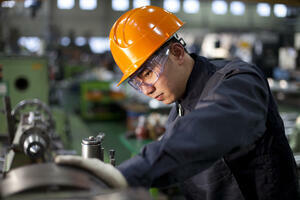 We offer temporary, temporary to permanent, and permanent work in Ontario. Here are some great reasons why you should accept a temporary position. A common misconception about temporary positions is that there are only general labour jobs available. This is not true. At Liberty Staffing, we offer temporary jobs in general labour and office fields. So if you're looking for clerical work, come in for an interview with us! We will try our best to find you a suitable position as soon as possible. If your heart is set on permanent work, we understand, but we hope that you won't rule out temporary work completely. You can take on a temporary job and still continue to look for permanent work. The bills can pile up when you're unemployed. Help prevent financial instability by taking on a temporary job. Employers are more likely to invite you in for an interview if they see on your resume that you're currently employed. Having a temporary job while you apply to permanent, full time jobs can make you seem more desirable. Having large gaps between jobs on your resume is not good. Hiring managers may question why you have been away from the workforce for so long. Looking to make some extra cash? Temporary jobs can help in this department. Perhaps you work a full time job during the week, and are looking for some extra work on the weekends. There are some temp jobs that have shifts on weekends. Some people come out of retirement and work a couple of days a week on a temporary assignment. A temporary position gives you the flexibility to do this. Every temporary job has the potential to become permanent. Your time spent at the temporary job is what you make it. If you go into work everyday and do your best, and if the employer has the ability to hire you on permanently, chances are that they will do so. Ready to take on a temporary job? Contact Liberty Staffing Services today to get started.